In Steamhounds, the player takes control of a team of steampunk mercenaries, doing the dirty work of the shady factions who vye for control of a once-great industrial city. Assemble a team and build up their strength by deploying them on missions to infiltrate, steal, and eliminate their targets. Challenge your friends in competitive team-vs-team battles, or attempt to climb the online leaderboards in ranked matches. Steamhounds started in late 2015 as a prototype developed by programmer Jason Davey. The primary inspirations were Final Fantasy X and X-COM, and the prototype explored the idea of combining JRPG-style combat with a system of "stances", which allow characters to react to events occurring in the battle when it is not their active turn. Seeing the potential in this prototype Jason sought collaborators, and in 2016 Paul Sim and Andrew Trahan joined the team in order to help develop it into a complete game. 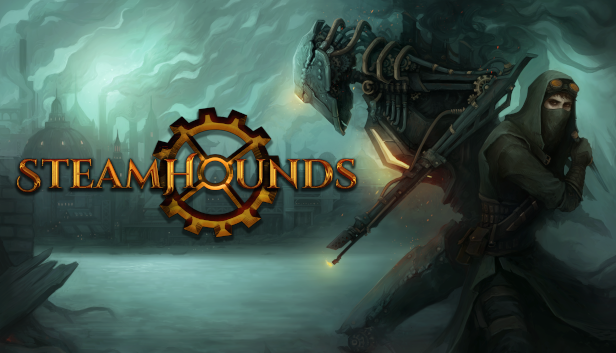 Since then, the game mechanics and theme have evolved into its current incarnation as Steamhounds - a steampunk-themed, PvP-focused, turn-based combat game. In late 2017 development reached a point where the core of the game had mostly solidified, and the team released a public alpha/playtest demo. They are currently working on refining this core in response to playtest feedback, and fleshing out the game's surrounding content. If you would like additional images, or have specific requests, feel free to contact us!